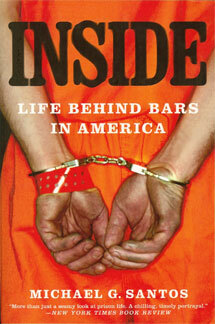 I began 2008, my 21st year of imprisonment, with a high degree of optimism. Now that we’ve moved beyond the first three months of this year, I feel better than ever. I keep track of my daily progress by recording my activities in a weekly planner. When this year began, I knew that we would have several events to help the time pass faster. This being an election year, my daily entries show that I’ve been following the primary elections closely. I subscribe to several news magazines to keep me current with political events, and most evenings I watch the national television news or listen to reports on NPR. This year there has been so much to follow. As a long-term prisoner, I am especially hopeful that Barack Obama wins the White House. After the first three months of the year, his candidacy is the strongest, despite recent controversy over remarks from his former pastor. With Obama, I am convinced that America would end Bush’s war in Iraq, bring health care to all Americans, enjoy a better economy, and perhaps most important on a personal level, move toward real and meaningful prison reform. Besides the legislation that an Obama Presidency may inspire, I’m pleased to see that the 2008 Congress has passed The Second Chance Act of 2007. According to a press release from the Bill’s sponsor, Representative Danny Davis, President Bush will sign this Bill into law at a signing ceremony on April 9, 2008. To me, this historic legislation bodes well for the possibility of programs that will enable those of us in confinement to build stronger ties to family and community. I have written an article and a speech that describes why the Second Chance Act encourages me. Readers who are interested may review those writings. This quarter has given me several speaking opportunities as well. In mid-February I was able to travel to Bakersfield with our outreach program to speak with at-risk adolescents about the perils of criminal lifestyles. Besides that outing, I enjoyed the privilege of making presentations to audiences here at Taft Camp. In one speech, I spoke about the development of leadership skills and in another I described the Second Chance Act from a historical perspective. Speaking before large groups opens opportunities to build upon skills that will help my transition to society. I value those opportunities and devote scores of hours to preparation. For my speech on leadership I pulled information from several books that I recently read, and for my speech on the Second Chance Act I took detailed notes from many sources. After writing each speech, I practiced my delivery, devoting many hours in an effort to come across in a lucid, polished manner. Regardless of what career I pursue upon release, I am convinced that the development of effective communication skills will prove a valuable resource. To that end, and as I outlined in my goals at the beginning of this year, I devote a significant amount of time to reading and writing each day. In the first quarter I read 12 books, each of which had a direct influence on my preparations for release. I’ve written a brief report on each book I read, and for some of those books I recorded detailed notes that will advance my writing projects. I also spent hundreds of hours writing a new manuscript. Previously I wrote about that book with a working title 25 Years to the Door. I have written three versions of an opening sequence for that memoir. Each version had at least 15,000 words, but none satisfied me. I chucked them all. This memoir will be an important component of my release plan. Since I will not submit the manuscript for publication until I am much closer to release, I intend to continue working on the manuscript with hopes of creating a compelling memoir. I have changed the title, though, to The 45-Year Gift. My exercise has been progressing in accordance with the schedule I set. In early March, I attempted to add evening tennis games to my routine. On my second night of playing, however, I snapped the muscle in my right calf. That injury has been plaguing me since. The pain put an immediate suspension to tennis. Worse than the loss of tennis games, it stopped my ability to run on the track. The pain is too severe. Fortunately, I’ve been able to exercise by running on the elliptical machine and exercise with the stair climber; as long as there is no heavy impact, I’m able to keep up with my goal of logging more than 40 miles each week, and more than seven hours of weekly exercise. My weight remains constant between 173 and 176 pounds. In light of the Second Chance Act, I expect release to a halfway house no later than August of 2012. Release could possibly come as early as 2011, depending on a decision from the parole board. If Obama wins the Presidency, I anticipate prison reform could result in my release as soon as 2010. Because of these developments, my wife and I have had to make adjustments to our plans for my release. Carole graduates from nursing school in May. Our original plans had been for her to continue advancing her professional credentials, however, as a consequence of my anticipated earlier release, Carole and I have decided that we should change those plans. Rather than continuing with another year of schooling, Carole will sit for the board exams to provide her with nationally recognized nursing credentials, followed by relocation to Kern County. That way, she can begin working and contributing to a savings plan that will help my transition to society. Her relocation will ease her commute for weekly visits as well. I am immensely proud of both Carole and our daughter Nichole. Together we have set a plan in place, and this June Nichole will graduate one year ahead of schedule from high school while Carole brings more stability to our family with her nursing degree. We’re all enthusiastic about the opportunities we will open through the remainder of 2008 and beyond. The hefty monetary fine I received at sentencing in 1988 expired during the month of March, so Carole and I are free to make progress toward our financial security. Life is really moving forward in meaningful ways as I finish these final years in confinement. Although I expect legislative changes that could advance my release date, the bottom line is that I have nearly 21 years of imprisonment behind me. I am moving closer to home, and I feel better than ever. The support I receive from so many is a blessing, and for that I am grateful.